As Okta’s General Counsel, Jon oversees all of the company’s legal affairs worldwide. In addition to running the legal department, Jon is also a key executive contributor to a number of cross-functional strategic initiatives throughout the company. Before joining Okta, Jon served as Okta’s outside corporate counsel from the time of its formation. In private practice, Jon was a partner in Goodwin Procter’s San Francisco offices as a member of the firm’s Technology Companies practice. Prior to joining Goodwin Procter, Jon was an associate in Gunderson Dettmer’s Menlo Park offices. 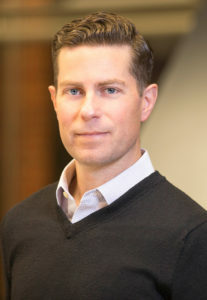 Jon holds a bachelor’s degree in Business Administration from San Diego State University, an MBA from the Yale School of Management, and a JD from UC Hastings.